In the world, Tibet is well-known as the “Roof of the world” for some good reason. Tibet is the highest region with an average altitude of over 4,000 meters in the world. Tibetan plateau is the world’s highest plateau. It has the highest mountain, lake, railway, road, and tunnel in the world. The Tibetan Plateau is bounded by two Himalayan ranges one is the world highest peak Mt. Everest situated from south to west and Thanggula ranges in the north. Tibet features unique landscape, dramatic snow-capped mountain peaks, ancient monasteries and diverse culture. 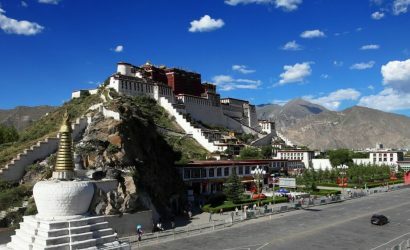 Tibet tour 8 nights and 9 days will start from beautiful holy and historic capital city of Tibet, Lhasa. 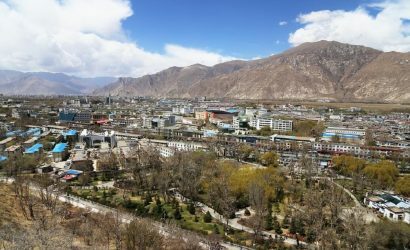 Lhasa is home to a range of some of the fantastic attractions that keep visitors coming back including some wonderful ancient monasteries as well as religious temples. There are great ranges of natural attractions as well as including the historical buildings and Buddhists temple. Now here comes a major highlight of this trip is the visit to the Everest Base Camp. This adventure Tibet tour is an incredible journey to the base of the Everest North Face via the Rongbuk Valley. Mt. Everest is our planet’s highest peak so many of us dream of climbing it. However, due to the harsh weather conditions and expense, only a few of us can make it. So, the easiest way to get close to Everest is at Everest Base Camp on the Tibet side. The local Tibetan people are very welcoming to the visitors. Also, the environment and the people are so pure and religious. Thus, from this Tibet tour you can get away from the modern life and observe and get into the spiritual life. Most of the tourists visit Tibet for the purification of mind and as well as the soul. Our full-time professional guide will make the fascinating history, art, and culture of Tibet come alive for you. You do Tibet tour in 8 days or 5 days as well. Walk on the base camp of the world’s highest mountain, Mt. Everest. On the first day of the Tibet tour, you'll fly to Tibet from Kathmandu. During this flight, you'll catch some nice view of snow-capped mountains and beautiful glacier. Also, you'll really feel close to the big blue sky too during this scenic flight. As you arrive in Lhasa, you'll meet our tour representative who will help you with an assisted transfer to your pre-booked hotel. After arriving at the hotel, you can take a rest and get acclimatized to the high altitude. If you feel comfortable, then you can go to the Potala Square. Here you can enjoy the colorful fountain and get some amazing photographs. Return to your hotel for overnight stay. Go for a walk to acclimate to the high altitude. Begin the day with a refreshing breakfast in the hotel. On the second day of Tibet tour, you'll visit some of the interesting place Potala Palace, Jokhang Temple and Barkhor Street. First, you'll visit the Potala Palace also called as winter palace of the Dalai Lama. It is situated on the top of the Red Hill in central Lhasa at an altitude of over 3,700 meters. The Potala Palace consists of two palaces, the White and Red. The White Palace contained the living quarters of the Dalai Lama, administrative offices, the seminary, and the printing houses. The Red Palace is devoted to religious study and prayer. This palace consists many halls, chapels, and libraries. Potala Palace is also regarded as one of the most beautiful architectural building in the world. Continuing your exploration, you'll visit the Jhakong Temple, the ultimate pilgrimage site. It is considered as the most sacred temple. During the reign of King Songtsen Gampo this temple was built for his two brides: the Tang Princess Wencheng and Nepalese Princess Bhrikuti. Both princesses brought the statues of Sakyamuni from China and Nepal respectively. This temple is surrounded by the Barkhor Square or prayer path. Finally, you'll visit the Barkhor Street, Lhasa's pilgrimage circuit around Jokhang Temple. The Barkhor market is a great place for shopping. Be sure to buy some of the religious article and ritual objects. The travel time in Potala Palace in limited within 1 hour. The ideal spot to take pictures of the Potala Palace is Chakpori Hill. Opening time of Jokhang temple for tourists is from 11:30 to 17:30 and for religious people is 08:00 to 11:30. After entering the Jokhang temple, you must walk clockwise. On the third day of Tibet tour, you'll first visit the beautiful Norbulingka which is used to be summer palace of Dalai Lamas in the ancient time. Norbulingka means "Treasure Garden" in the Tibetan language. It is the world's highest, largest, and well-preserved ancient artificial horticulture garden. Norbulingka has three parts: the courtyard in front of the palace, the palace and forest. It combines gardening with architecture and sculpture arts. Next, you'll visit Drepung Monastery few miles west of the Tibetan capital Lhasa. It is the largest monastery in Tibet and home monastery of all Dalai Lamas. Drepung Monastery was the principal monastery of the Gelugpa school of Buddhists teachings. This monastery was home to more than 10,000 Buddhist monks. It plays an important role in Tibet Buddhism. In the afternoon, you'll visit another one of the great three Gelukpa monasteries of Tibet, Sera Monastery. The major highlight of Sera monastery is watching monks debating inside the courtyard. Every day, hundreds of monks assemble in the group and practice their debating skills. Now, here come the good part is being tourists you are allowed to walk around and observe the monks debating about Buddhists rituals. In Norbulingka, every day at 11:00 there will Tibetan Opera show. Every Wednesday in the Drepung Monastery, there is a grand sutra-reading event. You cannot take photos with the slogan of no photos in Sera Monastery. On the fourth day of Tibet tour, you'll proceed from Lhasa to Shigatse, second largest city in Tibet. This city is also the center of Kora and many religious events. It will take about 8 hours drive and there are a lot of places to explore along the road. On the way, you'll have a glimpse of Yamdrok Lake. It is one of the three largest sacred lakes in Tibet. You'll get the awesome distant view of Holy Mount Nyenchen Khangsar, the highest mountain near Lhasa. Later, you'll pass and enjoy the Karola Glacier on the roadside. Then you'll arrive in Gyantse, third largest city after Lhasa and Shigatse. In Gyantse, you'll visit the famous Pelkor Monastery. It is well-known for its Kumbum, which has 108 chapels in its fourth floors. You'll get amazed at it sculptures, murals, and carvings. Saga Dawa Festival is the most important festival here. On that day, many Lamas and pilgrims will visit the monastery for praying. After one and half hour driving, you'll arrive in Shigatse, second largest city in Tibet. You need to pack some foods and drinks as you'll spend much time on the road. You need to pack some warm clothes to prevent from cold. It's not bright inside the monastery. If you want to enjoy the murals then you should bring a flashlight with you. On the fifth day, early in the morning after having some fresh breakfast you'll leave Shigatse to Lhatse. It is small town located 150 km from Shigatse. After that, you'll drive to Shegar and if the weather is clear you'll view the Mt. Everest in the distance. 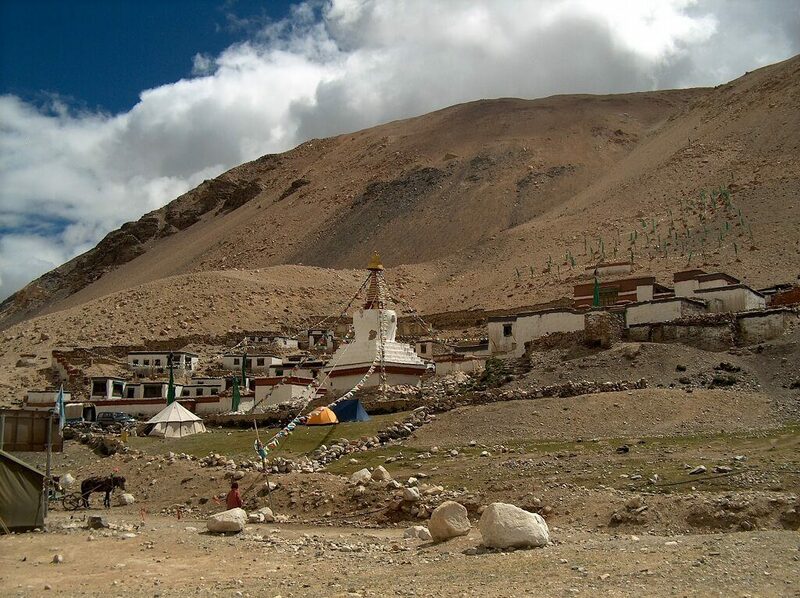 After that you'll pass some of the highest passes such as Tsola Pass (4,600 m) and Gyatso La Pass (5,248 m). If the weather condition is acceptable than on the top of the Gyalpo-La Pass you can see four of the highest mountain over 8,000 meters. Mt. Everest, Mt. Makalu, Mt. Lhotse, and Mt. Cho Oyu are the four peaks in one frame, what a perfect scenario. On the way, you'll get to the Rongbuk Monastery (4,980 m) and get the first splendid view of the Mt. Everest. It is located on the north slope of the Mt. Everest 5100 meters above sea level, it is the highest monastery in the world. It is the best place to get the fantastic view of the front face of Mt. Everest. Walking forward from Rongbuk Monastery, you'll see the famous Rongbuk Glacier Zone. It is the largest among hundreds of glaciers formed around the Mt. Everest. The rest of the day is free for your visit the Rongbuk Monastery and explore the surrounding landscape. If you're traveling at summer time (May to October) you can spend the night at Everest Tent Camp. Or if you're traveling at winter time then you can spend the night at Rongbuk Monastery guesthouse. 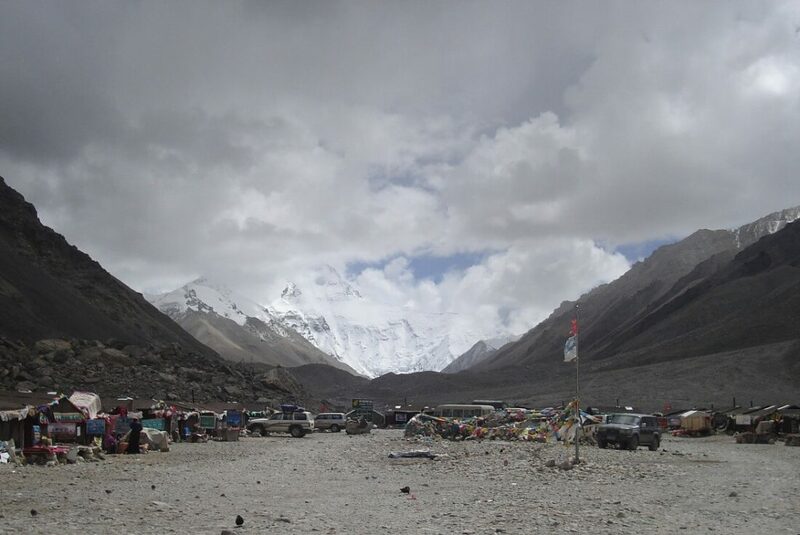 On the sixth day of Tibet tour, early in the morning after having breakfast you'll go forward to Everest Base Camp which is about 8 km from Rongbuk Monastery. You can enjoy the marvelous sunrise over the top of Everest, which then looks like a golden triangle- truly beautiful. If you like trekking, then you can do the short trek from tent village to the actual Everest Base Camp (4 km). It will take you about 1.5-2 hours depending on your physical conditions. After the getting incredible views of Mt. Everest you'll drive back to Shigatse. On the way to Shigatse, you'll enjoy some of the fabulous views of snow-capped mountains. The sunrise usually starts around 6:30 am to 7:30 am on Mt. Everest. You need to drink plenty of water to avoid altitude sickness. You need to keep yourself warm all the time and avoid strenuous activity. On the seventh day of Tibet tour, early in the morning, you'll have your breakfast and visit the home of Panchen Lama- Tashilhunpo Monastery. The remarkable features of this monastery are white walls and the golden top. You'll see the biggest statue of Maitreya Buddha decorated with gold, diamond, pearl and other types of jewelry. The Tibetan New Year Festival and the Dancing Deity Festival are the famous festivals are held in this monastery. Another greatest festival is the Buddha unfolding festival held on the fifth month of the Tibetan calendar each year. After that, you'll drive back to Lhasa along the legendary Yaluzangbu river, the mother river of Tibet. At the shores of the lake, you'll see Tibetans engaged in boating, fishing, and going about their daily lives. On the eighth day of Tibet tour, you'll head towards for an exciting trip to the holy lake Namtso. It is about 5 hours drive from the Lhasa city. Namtso lake is the second largest saltwater lake in China. It is located in Damxung County and Baringo County, at an altitude of about 4,178 m.
Namtso means Heaven Lake in Tibetan. You'll find the four temples around the lake. Every year, hundreds of pilgrims come here to worship the Holy Spirit it represented. It is one of the most beautiful lake with pure clean water which reflected the color of the sky. After getting some wide-open vista of water, sky, and mountain along with the shore of the sacred lake you'll drive back to the Lhasa. Best time to visit Namtso Lake is from June to September. You need to wear warm clothes to prevent from cold. On the last day of Tibet tour, our guide will transfer you to the Lhasa airport and help you get on board. You need to check your luggage carefully. If your flight time is in afternoon, you need to check out the hotel before 12 pm. 8 nights accommodations, based on double occupancy.